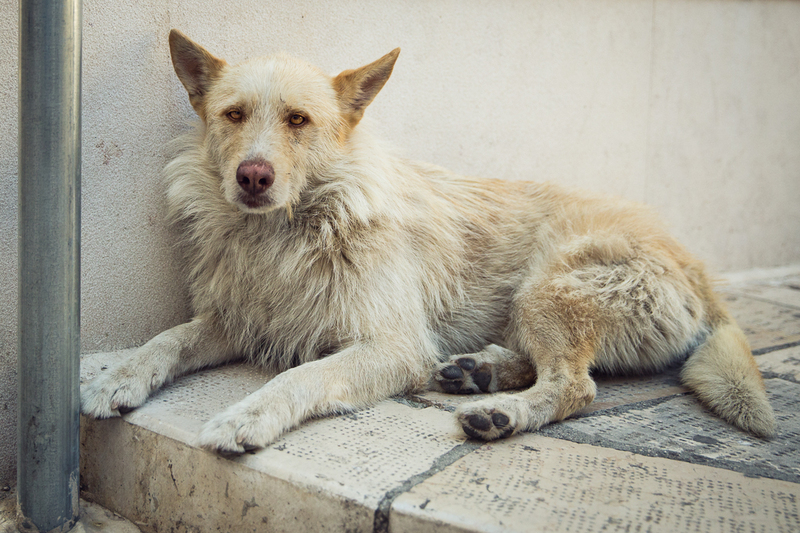 This lovely dog was lying outside a bar in Grottalgie, in Puglia, Italy. Perhaps a stray or perhaps she belonged to the bar. Grottalgie is a village with many artisan ceramic factories. Probably waiting on its human. Quite an enigmatic expression. I hope she or he is waiting on a human. I'd hate to think a beautiful animal like this is a stray. Dogs or so compelling.